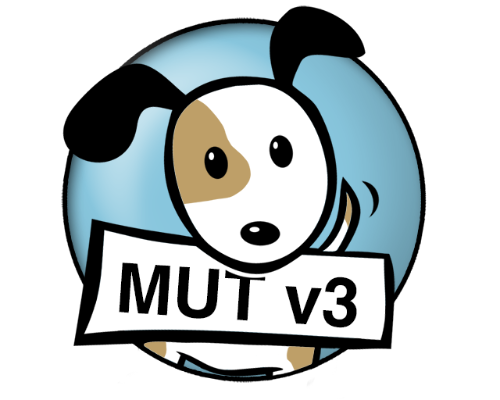 Please note that The MUT is designed, built, and maintained outside of Jamf. 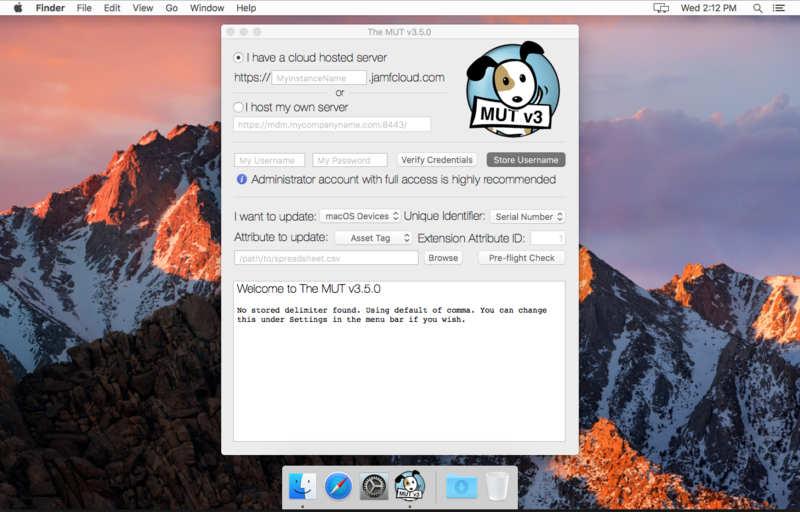 It is not affiliated with Jamf, it is not officially maintained by Jamf. If you are having trouble with your CSV not parsing properly, and you are exporting your CSV from Excel, try using "Windows Comma Separated (.csv)". Windows Comma Separated uses a slightly different linebreak character, which can sometimes play nicer with the CSV parsing functions in The MUT. The MUT is a native macOS application written in Swift 3 which allows Jamf admins to make mass updates to attributes (such as username, asset tag, or extension attribute) of their devices and users in Jamf. Admins can enter the URL for their Jamf server (whether cloud hosted or on-premise), a username and password for The MUT to use, select the device type, attribute type, and unique identifier type from dropdowns, and browse to their CSV file. A pre-flight check will give a preview of the actions to be taken, and then the admin can submit their updates.